Graduated the State University of New York at Albany in 1989 with a BA in economics and in 1993 from Long Island University CW Post with a MS in accounting. In his 25 years of experience he has worked extensively representing clients in matters related to sales and use tax and income tax audits. Alex specializes in Manufacturing, Food Distribution Services, Restaurants, Construction and the Petroleum Industry, and Qualified Empire Zone businesses. In addition to advising his clients in the areas of accounting and tax planning Alex has worked extensively with clients in the areas of Business Succession Planning and Business entity selection. 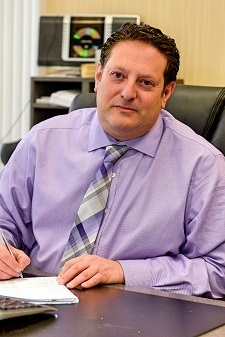 He currently serves on the Executive Board of the New York State Society of C.P.A.’s(NYSSCPA) – Nassau Chapter and is Co-chair of the NYSSCPA Nassau chapter small firm Map committee, he previously has served as the president of the Long Island Network of Accountants, and as a member and treasurer of National Kitchen & Bath Association Metro NY chapter.